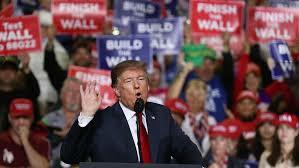 On Tuesday’s show, we discuss the President’s rally in El Paso and a possible legislative compromise of funding the “wall” and the government. We visit with our State Senator and Senate Majority Leader Kathleen Passidomo about the Governor’s legislative priorities and how they are resonating with the Senate. We also discuss her new role as Senate Majority Leader. The Founder and President of Less Government Seton Motley and I discuss the continued and unjustified Democrat support in Congress for “Net Neutrality”. We also visit with Boo Mortenson about the President’s approval rating.